In this second workshop the participants will have the opportunity to sharpen their digital and prototyping skills, to experiment with a range of digital production tools, and to design and fabricate a unique set of components that negotiate a range of material gradients across a field condition. Through iteration, participants will generate and fabricate components (parts) to form a larger network (whole). The goal of this workshop is to combine technological precision and pedagogical creativity. 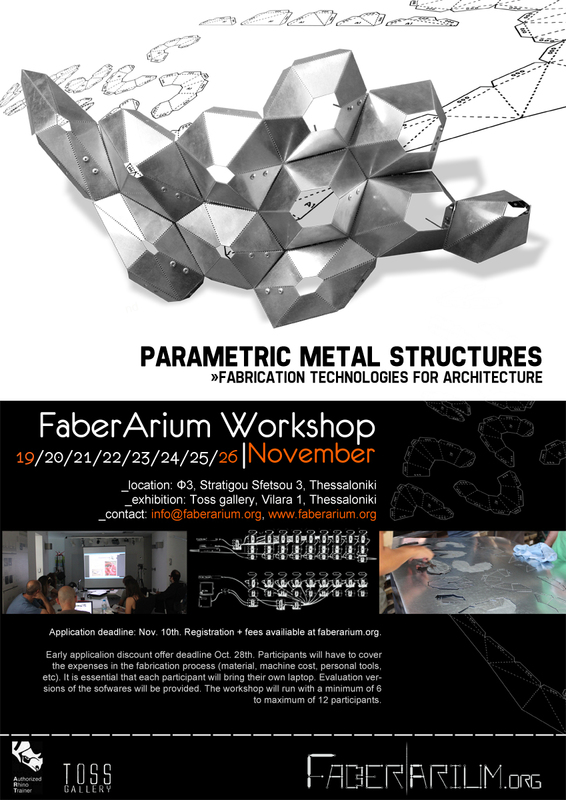 Participants will understand in early stage concepts, design strategies, and material constraints, in order to transform complex 3D geometries and structures into fabrication elements, using parametric and programmable computing tools and to obtain a sense of fabrication time and material costs depending on complexity. The workshop will operate through a framework of computational, parametric, and fabrication strategies and includes daily instructional, design, and fabrication sessions. The theoretical classes and a set of exercises, will establish the tools that would be directly applied to the projects, and will be used as a platform for testing ideas, develop and prototype individual or group projects. Participants will gain experience by using simulation software Rhino and Grasshopper to generate geometries that after will build with a CNC machine or laser cutter. The agenda includes a series of international online lectures to estimate critical trends on the globalized architectural+fabrication scene.